In the current world enamoured with hoodie-wearing CEOs, it’s refreshing to profile a successful business person who not only started his career without cell phones, computers, overnight delivery, or email, but who also still wears a suit and tie to every meeting. It’s been nearly 60 years since Davide Trevisani started his career in the foundation drilling industry. Trevisani’s company, originally named Pali Trevisani, enjoyed its early successes without the help of modern conveniences; it was all hard work, problem-solving, and know-how. He took great care in shaping what is now known as Trevi S.p.A., learning the business from the underground up, working hard to solve project issues and do the job better, growing in careful leaps to the successful, publicly traded enterprise that it is today. Trevisani is the recipient of several honours and awards including an honorary Doctorate in Civil Engineering from the University of Bologna, the Leonardo Prize for Italian Quality Achievements, and the Ernst & Young Entrepreneur of the Year award. His most recent honour came in October 2015, when Davide Trevisani was bestowed one of the Deep Foundation Institute’s highest awards: the DaVinci Legends Award, which honours practitioners that have made significant contributions and advancements to the research, design, construction, manufacturing, and use of deep foundations. In 1956, with a high school degree in surveying, he worked for a small construction company. 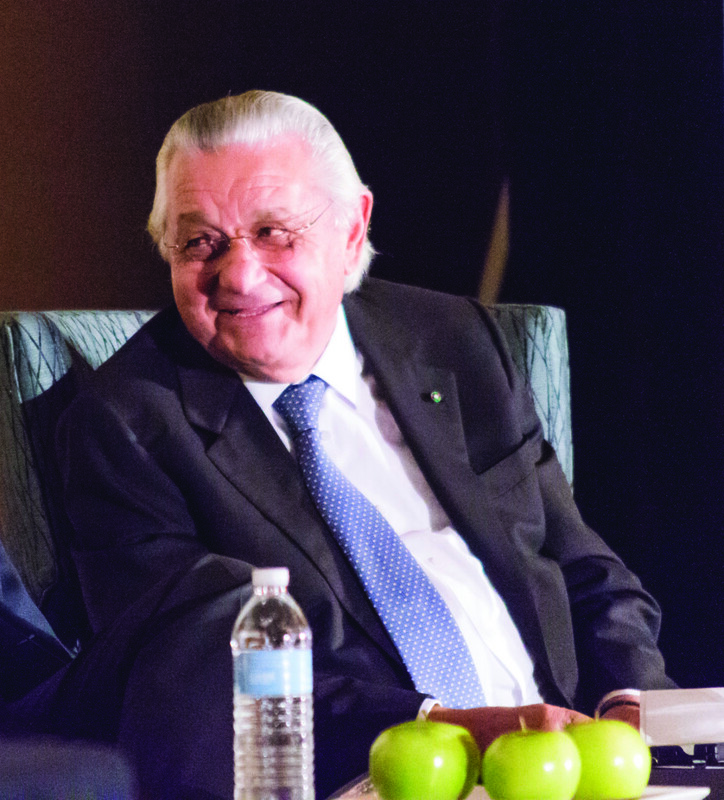 By 1957, Trevisani’s business acumen had already taken shape: he saw a need and made plans to start a company that served the field of special foundations. He purchased his first wooden drilling tripod with a $600 (CAN$) loan from his family. Originally producing small diameter piles using water well equipment, Pali Trevisani grew within 10 years into a company recognized in Italian and foreign markets as a leader in the foundation drilling industry. In the decades that followed, Trevisani would work on some of the most prestigious and complex underground construction projects in the world, including the stabilization of the Tower of Pisa, building 17 new stations for the Copenhagen Cityringen rail line, providing anchors for the righting of the Costa Concordia, and strengthening levees in New Orleans. In 1969, together with his entrepreneurial brother Gianluigi, Trevisani established Soilmec, the renowned equipment engineering and manufacturing arm of the Trevi Group. Since the beginning, Soilmec has incorporated advances and improvements learned from Trevi’s on-site construction experience, bringing the most cutting edge technological upgrades to solve ever-evolving foundation drilling challenges. This consistent effort to provide the best foundation equipment on the market has made Soilmec, with its long list of successful innovations, an international leader in the fields of ground and civil engineering. 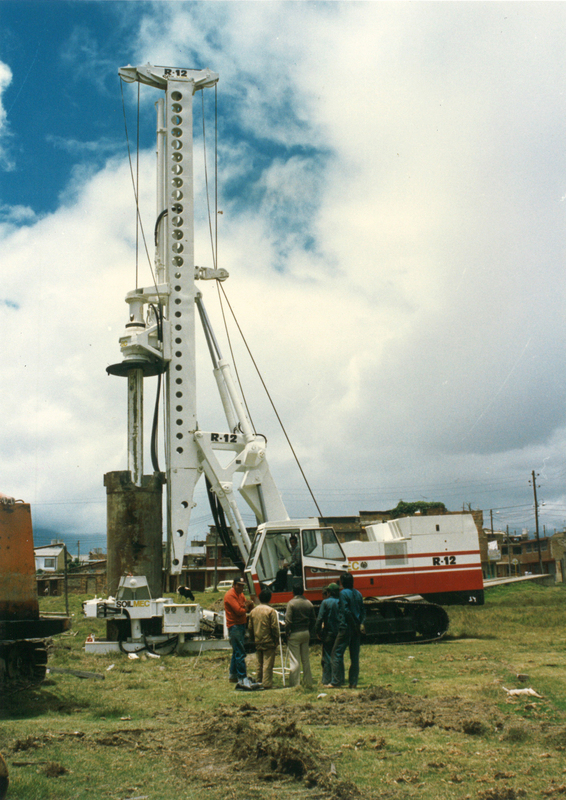 In 1981, Soilmec manufactured the R-12, which was one of the first self-erecting, crawler-mounted, hydraulic rigs for bored piles. 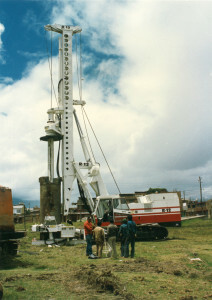 The R-12 also adopted a trapezoidal system for vertical approaches to the drilling point, saving many crawler movements and thereby increasing efficiency on job sites. By 1990, Soilmec sold its first rig on North American soil to the Hub Foundation Company. Soilmec’s most recent decade of innovation has produced an exceptional line of cranes and crane attachments that offer specific solutions for submerged foundation work, improved lift, and reduced weight for cost-effective transport. Adding to its repertoire of cutting-edge technology, Soilmec unveiled its computer-based Drilling Mate System (DMS) in 2005, which allows operators to monitor the overall operation of the machine and “see underground” with drilling data including depth inclination, rotary speeds and crowd pressure. Over the years, Soilmec has grown from being a small equipment manufacturer on 35 acres to a 150-acre global leader in the fields of geotechnical engineering and special foundations. Under the direction of Davide’s son Simone, Soilmec is known for its unmatched experience and noteworthy accomplishments such as the development of its branch, Drillmec, specializing in oil, gas, and deep water drilling equipment both onshore and off. 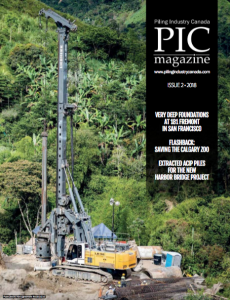 Soilmec also recently acquired two well-established foundation drilling companies: PSM to augment its micro piling and tunneling line, and American-based Watson which offers a wide range of customizable drill rigs. The Trevi Group impact goes beyond its engineered equipment, 36 direct branches and 7,500 employees. Davide Trevisani and his brothers, Gianluigi and Cesare, take great pride in their charitable organization, Social Value, which is aimed at supporting solidarity initiatives, mainly to address children’s issues at the local, national, and international level. Some of their projects include donating a complete system for groundwater exploration in Central Africa to combat drought, ongoing commitments to the Nuestra Senora del Valle orphanage in Argentina, and building a nutrition centre in Cite Soleil in Haiti. A career like Davide Trevisani’s is not only worthy of the many awards it has earned, but it also deserves to be a model for entrepreneurs everywhere for its thoughtful growth, innovative contributions, consistent dedication to solving industry needs, and superior service to the communities it serves. The strength of Trevi S.p.A., Soilmec and all of the companies within the Trevi Group is the direct product of building on experience. From Trevisani’s first days of drilling in his early 20s he constantly looked ahead to what was next, what could be done better, and how he could perform the best possible work. 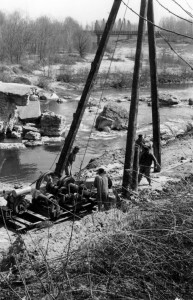 Nearly 60 years later, Trevisani continues to serve the foundation and drilling industries with the same hard work and dedication he offered from the very start.